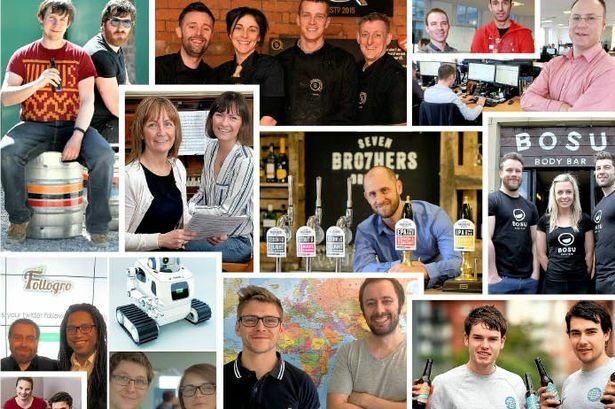 Greater Manchester has a flourishing start-up business community – and here is the evidence to prove it. Across all sectors, we come across promising businesses on a daily basis. So here, we celebrate the innovation and courage involved with getting a firm off the ground with a list of the top start-ups we are tipping to make it big in the city region in the coming years....in no particular order, we should add. 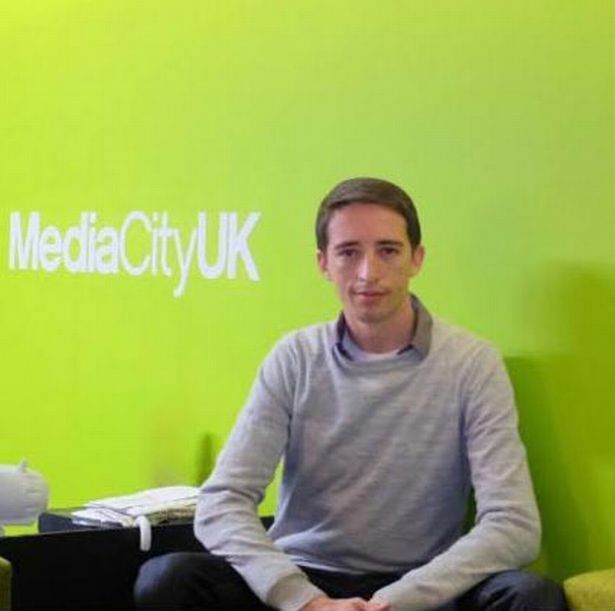 Paul Breen, director of Business Finance Solutions, which provides alternative finance from £500 to £5m to growing businesses, said: “Greater Manchester’s start-up community is more diverse and dynamic today than it has ever been. 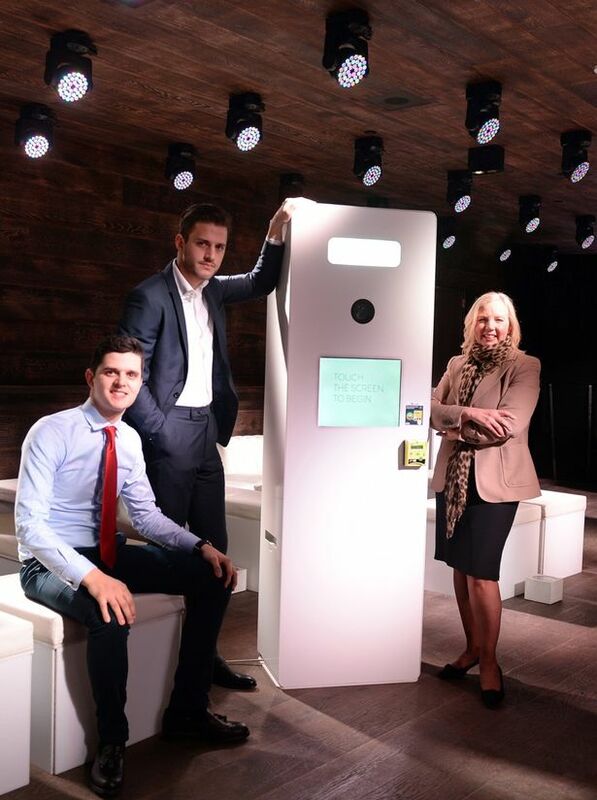 "This is largely thanks to the strategic fusion of public and private sector support in the city – the local authorities and government funded programmes like Start Up Loans working with our banks, investor networks and established businesses to create the right environment and opportunities for entrepreneurs. What do you do: Formisimo is an analytics platform that shows companies what they need to change in their online checkout to make customers happier, and increase sales. They said : “Online forms and checkouts are annoying - customers hate them and that’s why an average of 67% of people who start filling one in don’t complete it.” Formisimo is used by companies like ShopDirect, Experian, QVC and Secret Escapes. The McAvoys with their newly installed brewing equipment. What do you do : Family-run microbrewery that produces artisan craft beer. 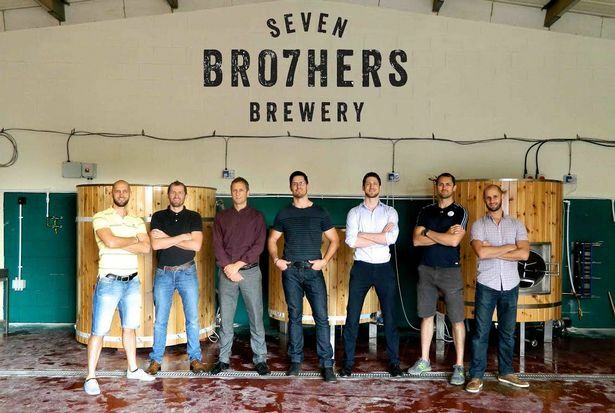 SEVEN BRO7HERS has broken the mould of traditional beer drinking with a target demographic of 25-35-year-old males and females. The brothers aim to have a core range of seven products, four of which are already in production and include an India Pale Ale, English Pale Ale, Porter Stout and a lighter Pale Ale. Future plans : Future development of ActiveWin Media will include launching new products, expanding to new markets and exploring new verticals to focus on as well as exploring investments and new partnerships. 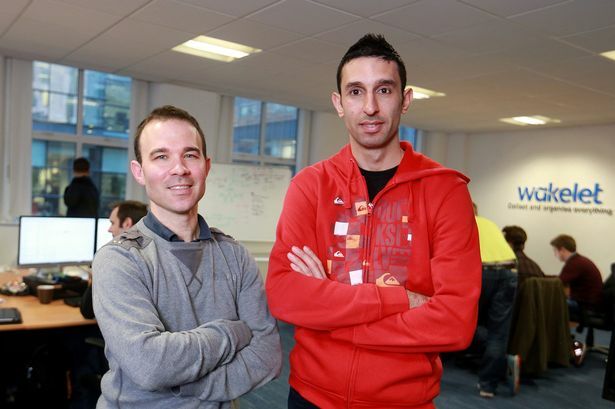 With a turnover of £3m ActiveWin are aiming to increase to more than £5m next year. What do you do : Internet software development business and creator of Nobot. “We have two distinct aspects of our business. We have deep experience operating in Central and Eastern Europe and bring these clients both directly but increasingly on a ‘white-label’ basis to other web developers. There is also the exciting part, which is Nobot.” Nobot brings remote-working to geographically tied tasks by allowing a remote operator to take control of a robot unit. NOVP are currently customising this technology for the assistive care and logistics sectors. Future plans : In the software development side they expect to have around 100 full time staff by Christmas with turnover hitting around £1m. With Nobot NOVP expect to yield around £1.5m in R&D commitments by the end of this year. The first Nobot production units will be ready in November. What do you do : Invented, sourced and brought new products and cards to market to provide people something to give to bereaved loved ones. “Since experiencing our own bereavements in 2000 and 2013 we realised there was a startling gap in the market. We are re-writing the traditional sympathy card and you won’t find the words ‘with sympathy’ anywhere - just modern, honest, warm and useful language. 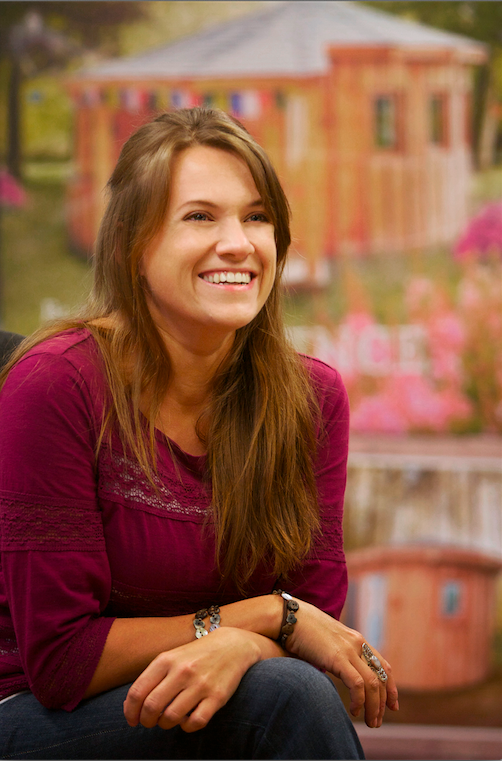 Future plans : Turnover is growing as Inspired Goodbyes achieve their target of £4,000 per month in sales. “We constantly re-invest in the business to grow the product range and meet demand.” The 3-5 year plan is to become the ‘go to’ sympathy card and gift specialist in retail outlets and funeral directors. What do you do : 4Lunch is a street food brand, caterer and trainer, on a mission to increase the confidence and employability of job seekers. 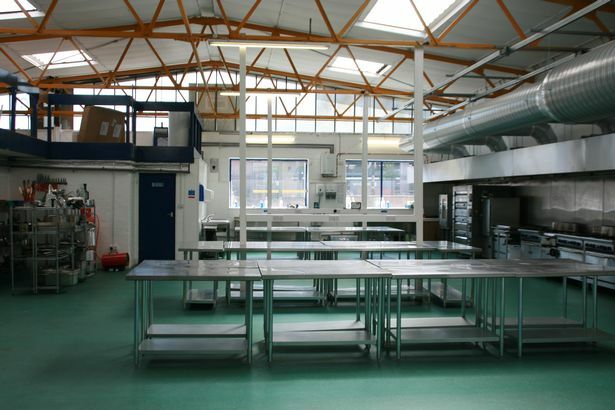 “We deliver innovative programmes to enable learners to enter careers in the catering and hospitality industry and raise their aspirations.” 4Lunch also runs programmes with the aims of reducing food poverty, improving wellbeing through food, and promoting social inclusion. Future plans : With a turnover to date of more than £35,000 4Lunch aim to develop practitioner and learner workbooks and start new ‘Food for Thought’ programmes. What do you do : Organise and run events with the aim of improving public services. Organised over 30 successful events and conferences so far across the UK with over 2,000 attendees to date. The company has grown from three directors and one employee to 11 staff in little over a year. Attendees have heard from high profile speakers from leading organisations such as the Cabinet Office, NHS England and Science Europe. Future plans : Company now focused on corporate strategy, reinvestment and increasing profit margin. Next steps are delivering a long term vision for a sustainable business and exploring new market opportunities. Will be employing at least a further four staff by autumn 2015. Future plans : To develop a major carnival project to commemorate the 400th Anniversary of Shakespeare’s death in 2016. 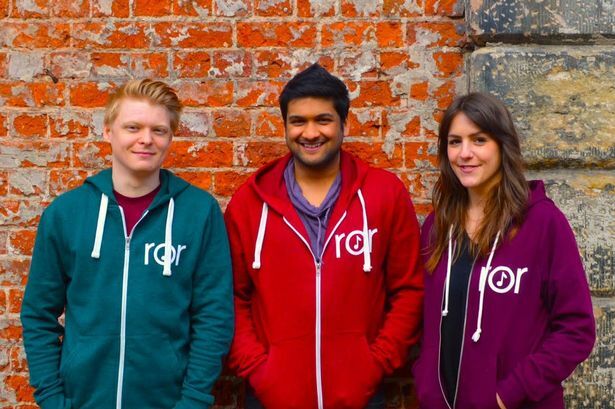 Plans to grow from one employee to three by 2018 plus a team of up to 20 freelancers. 2015/2016 projected turnover: £100,000. Target for turnover by 2018: £250,000. What do you do : Monarch Solicitors are a new commercial law firm launched from the former Daily Express newspaper building. The firm specialises in commercial property, investment, contract and landlord and tennant work. “I offer my clients fixed fees wherever possible to give them peace of mind but also work on a money back guarantee satisfaction of service.” The firm’s turnover in the first 12 month of trade is over £75,000 and profits are in the region of £20,000. What do you do: Made With Glove is a UK wearable tech company designing fashionable heated gloves for women. 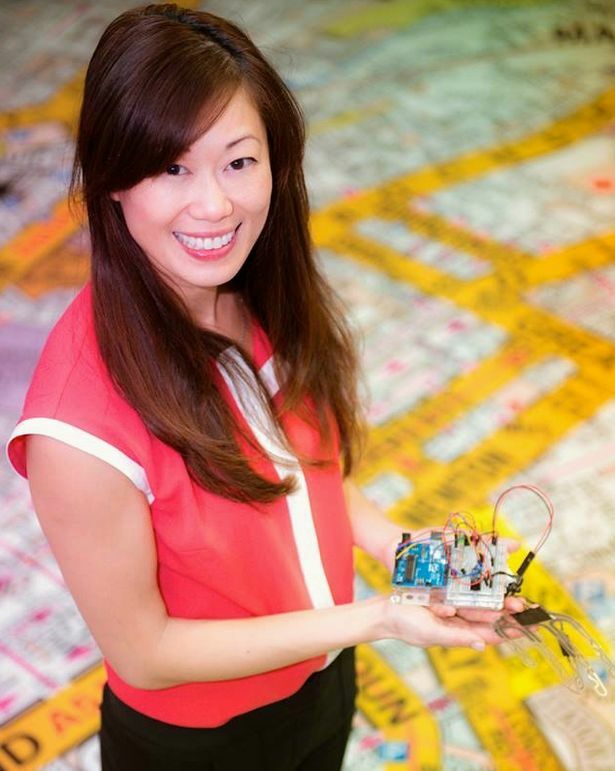 Founder and director Michelle Hua won a wearable technology hackathon and received support and funding from Lancaster University to build a prototype. In it’s first year, Made with Glove was listed as one of the top 150 Most Influential Brands in Wearable Tech. 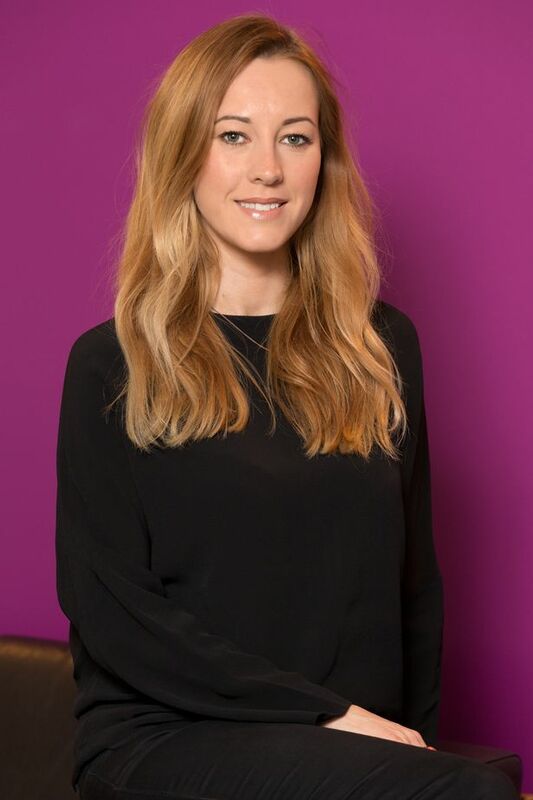 Future plans : Michelle is one of a handful of female founders who has recently taken up residence at SpacePort X in the Northern Quarter, a co-working space for tech start ups. Rachael Yeung, a textiles graduate from the Manchester School of Art will join the Made with Glove team. Michelle will continue to be a regular speaker and writer on all things fashion and tech. What do you do : Ziferblat is a new creative space in Manchester and has achieved great success over a short period of time. From opening in January until April 10, Ziferblat Edge St’s total revenue was £62,000 with 14,056 visitors, an average of 214 guests per day and average revenue per customer of £3.75. 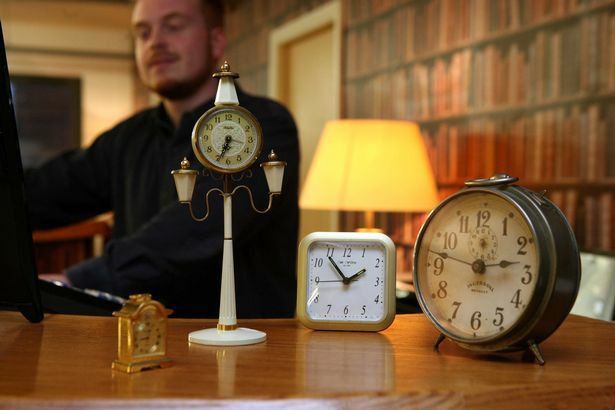 The Manchester branch set a new record with 417 guests visiting in one day, more than any other Ziferblat including the London branch - it now employs 16 staff. Future plans : Ziferblat’s goal is to open a branch in every university town in the UK and Ireland. By the end of their third year, they will have 15 branches across the UK. 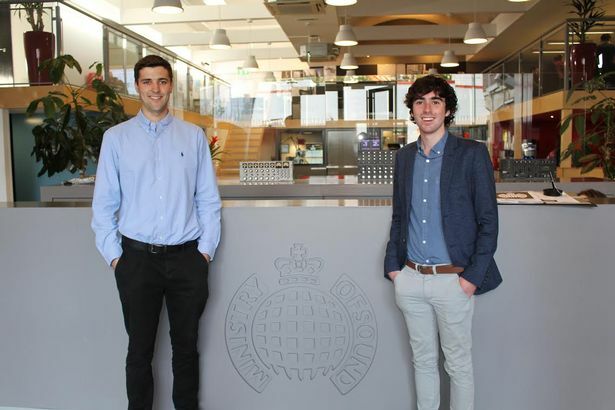 “Our three main objectives are to increase turnover, provide opportunities for young people and staff development and develop a greater events network in more areas.” A second Manchester branch has been agreed as well as a Liverpool branch, and four others are in discussions with property agents in Manchester, Sheffield and Liverpool. What do you do : HROnline is an online HR solution for SMEs which helps them tackle absenteeism and people management and giving people time back so they can focus on employee engagement and well-being. Future plans: With financial backing from Peninsula Business Services and Peter Done, HROnline is launching a new brand and product in November, which will revolutionise and shake up the HR industry. 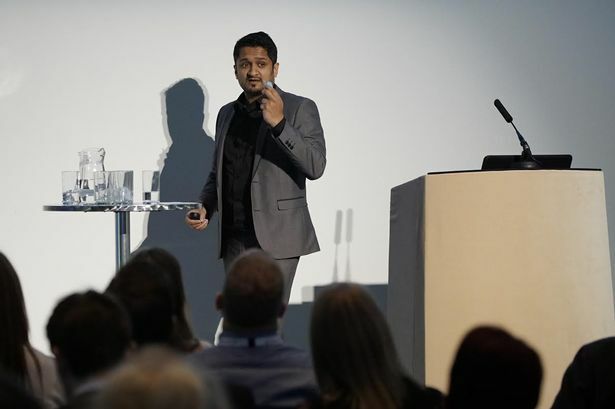 “Taking an ingenious approach to put customers at the heart of the brand, HROnline is approaching product and brand development in a unique way.” Their ‘brand first’ approach includes a new structure where the marketing team will be bigger than the sales team. The HROnline team has grown from 30 people to 65 people since April and they plan to recruit 20 more employees by November. What do you do : The Dry Cleaner app connects customers directly to their local garment care professional. Using their mobile device, customers can schedule collection & delivery services, view opening hours, reviews and special offers. “The app removes some of the everyday hassle of organising and ensures that all information is clearly visible to the user on their mobile.” It is now available through participating Garment Care Professionals in the UK and is rapidly expanding across the UK & Ireland. Future Plans : Swifty Scooters remains founder owned, and exports globally with recent accounts opened in Canada and Singapore. They expect to double their turnover to £350k this year, and continue to grow with new product lines and new international accounts in 2016. 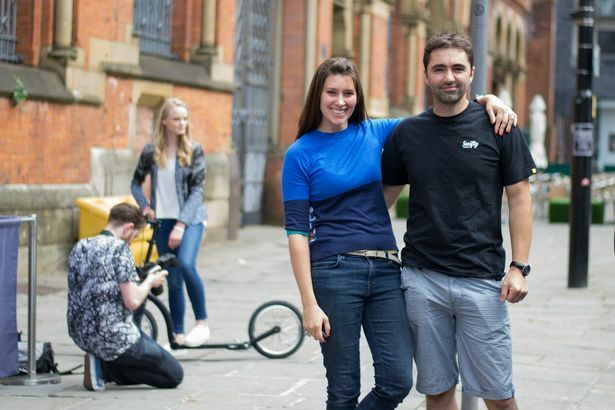 What do you do: Founded by Matthew Krysko and Gemma Gore, the duo’s vision is to produce private and corporate events that are completely different from their competitors by having unique relationships with Manchester’s most exciting venues, such as Albert Hall, B.EAT Street and Gorilla. “The hallmarks of every We Are Family event are originality, imagination and quality, providing clients an entry into a world of creativity unavailable to most.” The directors have links with michelin-starred chefs, international DJs and movie set designers, which means they can make each We Are Family event a truly unique experience. Future Plans: Continue to build venue portfolio with key operators in Manchester and expand this model into new cities and internationally, including Ibiza and New York. We Are Family expects to triple turnover by 2017. 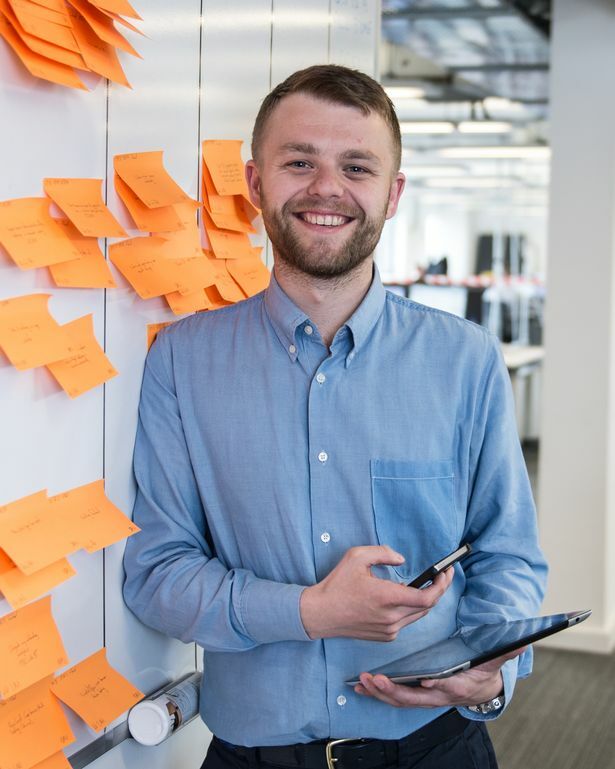 What do you do: Degree 53 is a multi-award-winning digital agency which specialises in user experience, design and development to create multi-channel websites, mobile apps and bespoke applications. The company works with leading brands, family businesses and fast-growing start-ups in gambling, affiliates, sports, financial services, ticketing and education to deliver premium digital products. Last financial year the business delivered underlying pre-tax profits of £204,000, which led to rapid expansion and has seen headcount grow to more than 50. From April-14 to March-15 they generated a £2.8m turnover. What do you do: DueCourse lets small businesses invoice better and get paid faster by creating and sending ‘smart’ digital invoices to their customers in seconds for free. 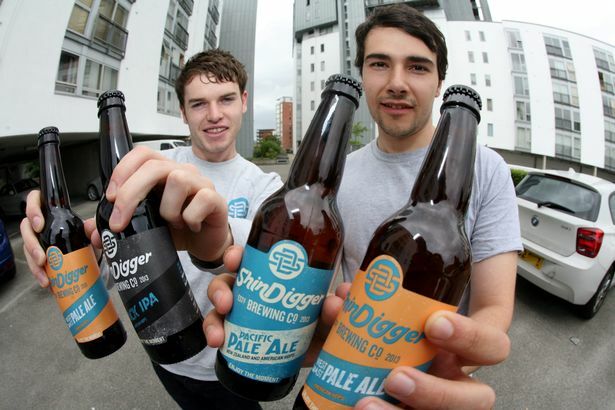 What do you do: ShinDigger use an innovative ‘gypsy brewing’ business model whereby they brew their beers using spare capacity on other breweries’ equipment. They currently have seven beers in their range which are distributed as far north as Aberdeen and as far south as London.In 2014, their first full calendar year, they turned over £80K. 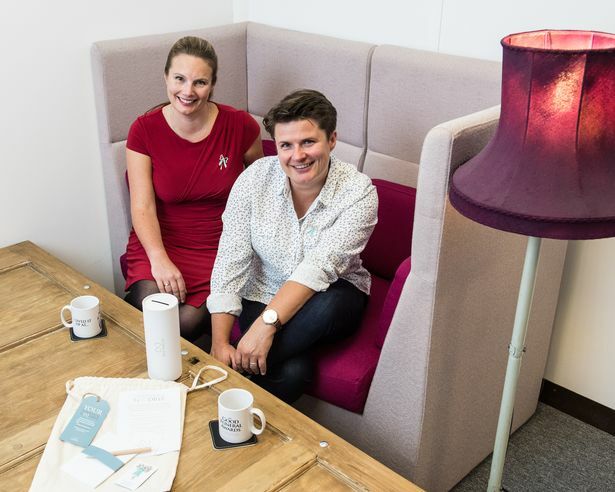 After receiving angel investment around Christmas the company is undergoing rapid growth and is on track to hit their £250K turnover target for 2015. Future Plans: Over the next six months they are investing in the supply chain in order to get production capacity up to hit £500K turnover in 2016. They are also looking at taking on staff to help with sales and operations. In the longer term, they are planning a substantial second round of investment early in 2016. What do you do: Wakelet is a free-to-use social content sharing platform founded by Jamil Khalil. With his tag line ‘The Humans Are Coming,’ Jamil’s vision is to empower people to organise their own web in a personal and more meaningful way. The highly attractive platform organises links to articles, videos and images into stunning and shareable collections. Wakelet is fast growing, as it helps people, artists, bands, sports clubs, businesses and academic institutions to organise their online information so it is easier to find and share. Already linking it to their websites are Manchester International Festival, Pro-Manchester and sports clubs including Swansea City FC. Future plans: £1.25m raised to date from UK, Europe and the U.S. with further investment planned soon. Early backers include Chris Byatte and Joe Wee, the Macclesfield-based original publishers of Angry Birds. Wakelet is set to reveal a mobile app for iOS and Android, and improvements making it even easier to save and organise links. What do you do: Kuhlab is a free mobile platform for creatives, that allows users to find the jobs, contacts and talent they need-wherever and when ever they need them. Combining the functionality of a job site, a social network and online portfolio, Kuhlab offers a complete solution to help creatives manage their career, from music, film, photography, art and design to the performing arts and creative IT. Future Plans: Building relationships with creative businesses to offer the best possible exposure to users and to the creative industry alike. Kuhlan is also aiming to roll out in the USA and Canada at the beginning of 2016 and to be in most countries and across all mobile platforms by 2019. What do you do: eLucid mHealth is currently using a £49,500 investment from the North West Fund for Micro Loans to develop a range of remote dispensing and monitoring devices, which will address the major problem of patients not taking their medication. All of the core products are connected to smartphones using Bluetooth to track when patients dispense their medication, giving health professionals accurate data to enable them to deliver better patient care. 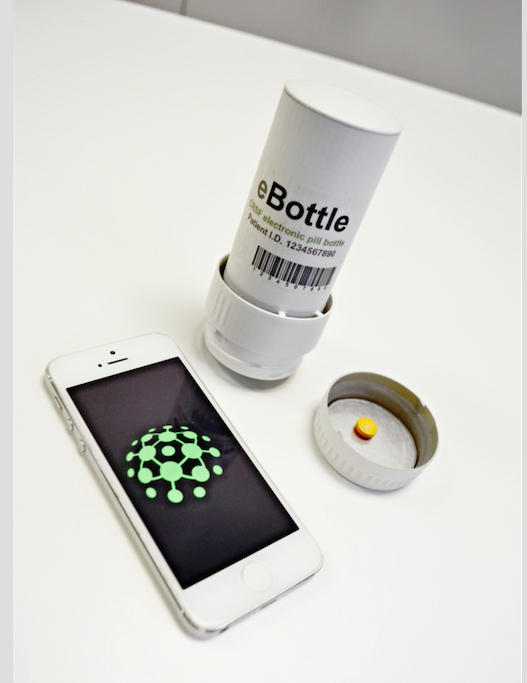 One of the first inventions is eBottle, an intelligent remote dispensing system for the safe delivery of tablets which has multiple applications across toxic or time sensitive drug regimes. Future plans: The creation of additional new devices for patient groups such as diabetes, schizophrenia, mental health and pain management via its on-going work with the NHS. What do you do: The University of Manchester spin-out has developed a hydrogel to relieve back pain by allowing cells in the disc to get back to “normal” functioning, hence relieving the cause of pain. The gel will be injected into the disc by a healthcare professional and is expected to replace the need for invasive back surgery. This has the potential to reduce back-pain suffering for millions of people globally and save the NHS and healthcare systems around the world significant sums of money. Future Plans: Gelexir recently received a £414k investment from the Co Angel service; funding that will now be used to take the business through a pivotal pre-clinical study and into first “in man” studies. What do you do: Couple Jon and Sara Saunby wanted to bring state of the art and unstuffy wine appreciation to Manchester and their premises on Cooper Street is now a wine bar and wine merchants that is using Manchester’s largest wine preservation and dispensation machine, offering 32 different wines by the glass, all dispensed using a state of the art wine dispensing and preservation system. 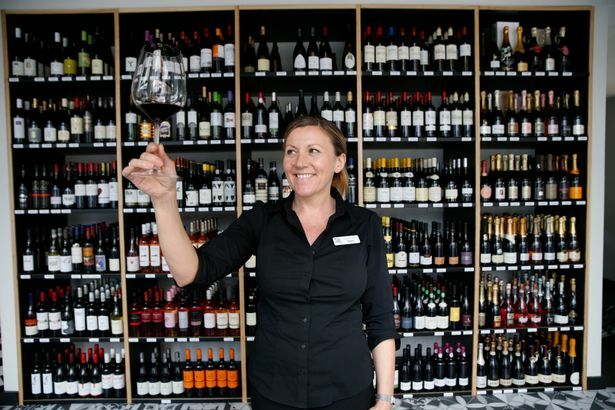 They have already expanded to sell food platters to complement the wine as well as a small selection of carefully chosen artisan beers and spirits. Future Plans: Salut Host more wine tasting events and industry recognized wine education programmes and supporting local and organic producers and providing free still and sparkling water in reusable bottles for example. 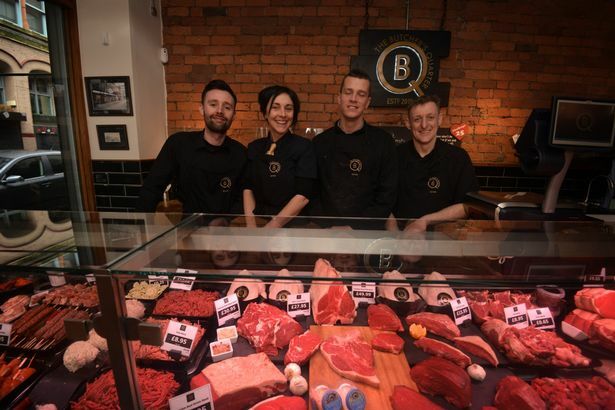 What do you do: The Butcher’s Quarter on Tib Street in the Northern Quarter is the only artisan traditional butcher in Manchester city centre, following the closure of the last one in 2007. The shop sells a range of premium and locally sourced on and off the bone meats, burgers and cooked meats, speciality sausages, deli products, premium wines and a range of gastro meals made by the resident butchers. Future Plans: Developing wider relationships with north west producers and hosting more food and drink events. What do you do: Nicholas and Heather Chick are both former Royal Navy Chefs, having served 12 and 22 years respectively. From producing food on small survey ships with just 50 crew, to ships of 1,000 crew, this pair have vast experience in catering. The Galley Delicatessen serve a variety of homemade food, including sausage rolls, pies and quiches. Customers are also offered a wide range of hot and cold beverages. Future Plans: The couple are hoping to gain the opportunity to buy the property that they are renting. At the next renewal of their lease Nicholas and Heather are also planning to take total ownership of their shared court yard to expand in to outdoor events and seating. What do you do: Zara is an expert cake-maker from north Manchester. Based in Prestwich with a studio for making the cakes as well as a coffee shop, Zara is a recognized member of the community. She founded her business after her partner left her and their two children. Zara took out a £9,000 Start Up Loan the a few months later the shops was open for business. Future Plans: Zara would like to expand her business and begin teaching cake baking from a fun and considerably more modern perspective. She is also hoping to procure some warehouse space to produce her products with a classroom for lesson as she is beginning to outgrow her current space. What do you do: Loanmeaphone offer a variety of smartphones for short and medium term rental to both the general public, as a replacement for a phone being repaired, and also to businesses such as TV production companies, event co-ordinators and app developers. What do you do: Rormix provides a platform for artists without any other legitimate visual space besides YouTube & Myspace. Users enter a commercial artist that they already love, e.g. The Arctic Monkeys, and Rormix will suggest those videos that bring a similar sound or style. Future Plans: Listing 3,000 music videos, the firm has won over 20,000 unique monthly users. And Ahmed wants to grow that to 100,000 before ‘some potentially serious money’ can be made through placing ads on the site while music videos are playing. 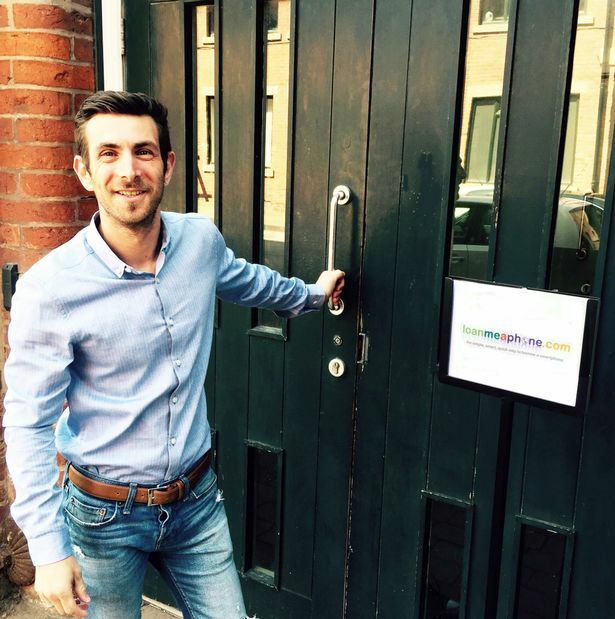 The Northern Quarter resident also aims to hit 700,000 downloads down the line and says he and his seven fellow staff members don’t have direct competitors. What do you do: StudioSeries designs and produces a range of recording equipment including USB microphones, Portable Vocal Booths, Pop Filters and guitar equipment. 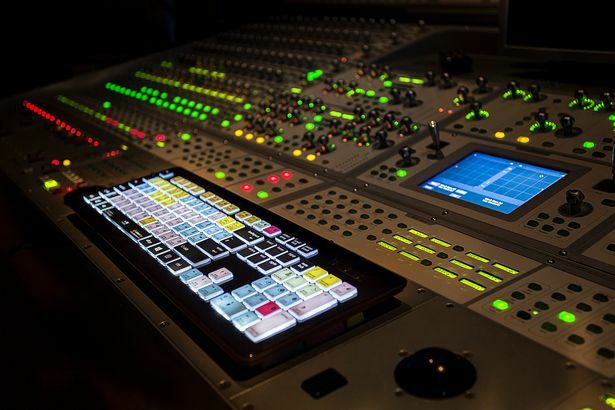 Their USB microphone is used by the BBC and ITV in MediaCityUK as well as thousands of home users. We’re grown a big following of popular YouTubers and Vine creators and we now sell to over 150 countries worldwide. Future Plans: A massive expansion of products into the USA and Europe and already set up a company in Denmark to help move this process forward. “Our plans are to have a US office by the end of the year, where we will employ both UK and US staff.” We have big plans to buy out one of our competitors and double turnover to reach £400,000 this year. 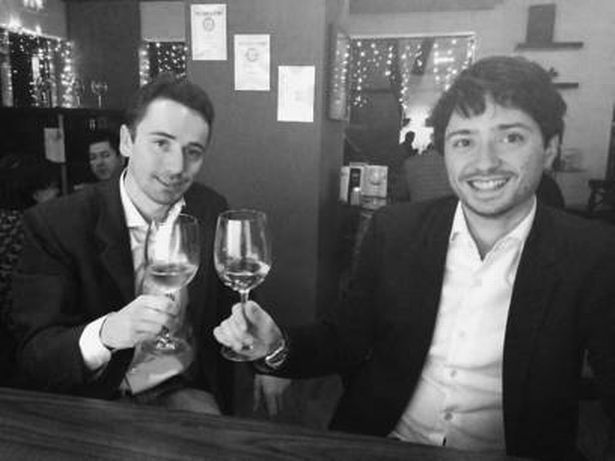 What do you do: Veeno was founded when two young Italian entrepreneurs, Nino Caruso (pictured top right) and Andrea Zecchio, decided to bring to the UK their vision of genuine and authentic Italian aperitivo. Nino and Andrea opened the first wine café just off Albert Square in Brazennose Street, serving quality wine – produced by their own family back in Sicily – and wonderful platters in a chilled and informal atmosphere, ideal to unwind after work. Last year Veeno launched cafes in Leeds and York and chose Spinningfields for its headquarters – proud and thankful for the support received by the local community. Future Plans: The success of the first year of trade has pushed the business to think big. The company, that now employs around 30 people, is looking to double in size within three months. They have a clear goal in mind: spread the aperitivo culture to the rest of the UK with national presence within five years. Based: Guerilla Eats are based in Manchester, but we are a pop-up event company so we move around the city looking for new venues. What do you do: "We set up pop-up street food events in Manchester and beyond. We build bars and bring in street food traders to abandoned spaces through out the city and turn them into street food parties." Future Plans: "We are currently planning to take over several venues in the city and make some more semi-permanent street food venues. In terms of our turnover we are targeting our first £1m turnover year for 2016 and will be looking to take on an additional 12 staff to join our event management team." What do you do: We are a digital publisher and developer of mass-market interactive entertainment. Primary pillars of business include intellectual property generation, branded or licensed products and disruptive technologies. What do you do: Gig Pic is a new photo sharing app which is designed specifically for music events, gigs and festivals. It is a worldwide app and we love the fact that people do actually upload from all over the world with the majority of uploads in the UK, followed by America and Australia. Having recently hit 20,000 users and as we head towards the end of a summer festival tour which has featured over 30 UK festivals and a number of European dates too the future of Gig Pic is looking really positive. Future Plans: A new version of Gig Pic is being developed which is going to improve certain aspects of the app. Other plans include finding a base where we can work on behind the scenes tasks and updates more quickly and efficiently. Manchester would be our first choice due to the strong local music connections with fantastic venues and events happening all over the city. We’d also like to double our user base within the next 12 months. What do you do: U Music TV’s mission is to provide a safe platform for children to enjoy music videos by creating a channel that shows only age-appropriate content for under 12s. U Music TV will be available next month online and as an app, with further plans for BSkyB later in the year. 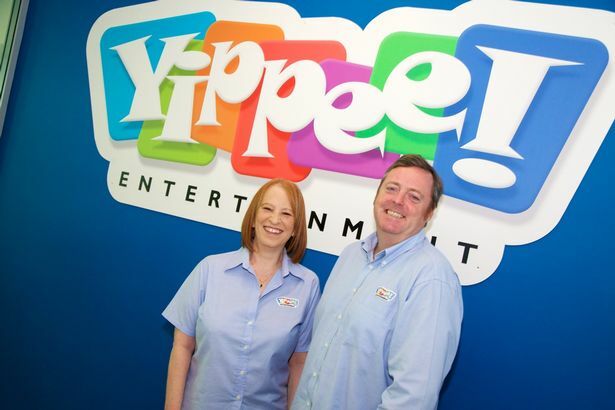 Future Plans: Having completed the UP Accelerator programme, U Music TV will be seeking further investment to deliver a multi-platform channel, with the ultimate aim of airing on BSkyB. In early August, U Music TV will be launching a crowd funding initiative to raise £650,000 to achieve this. Funding already secured by Creative England has enabled the company to produce an online channel which goes live next month, and IOS and android apps which will be available in app stores soon. What do you do: Little Belters is a completely unique singing experience for 5-11 year olds. 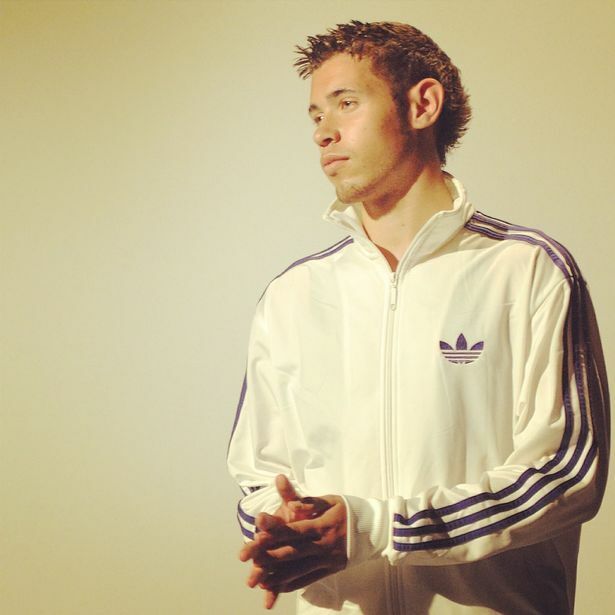 Members are taught proper singing techniques by professional singers in a fun and high energy environment. The repertoire is wide ranging and includes current chart hits, classic rock anthems, folk, reggae and some classical. Future Plans: In September, they will be launching four more choirs in Lymm, Cheadle, Sale and Didsbury. Then the plan is to launch another eight groups in September 2016 in the Greater Manchester and Cheshire region. They are excited about taking the model further afield and are even considering opportunities to franchise Little Belters across the UK. 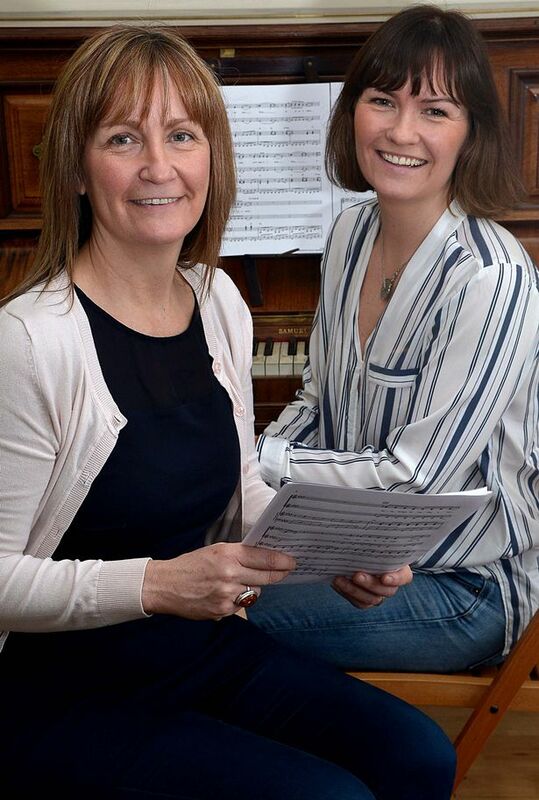 Founders Claire and Tina O’Brien have recruited three choir leaders, highly trained singers like them, and intend to create more jobs as Little Belters continues to grow, including administrative support. 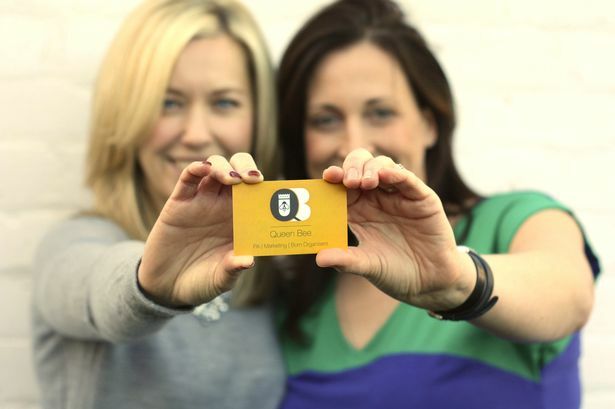 What do you do: "We serve a selection of delicious healthy food for people on the go. Everything on our menu is made from scratch. We are the official creators of the Protein Box where you build your own healthy box of fresh food. We also offer an elite Meal prep service where we provide 3 meals a day for food and fitness lovers who do not have the time to cook. Turnover set to hit just under £500,000 with one store but with new stores planned it should double easily." 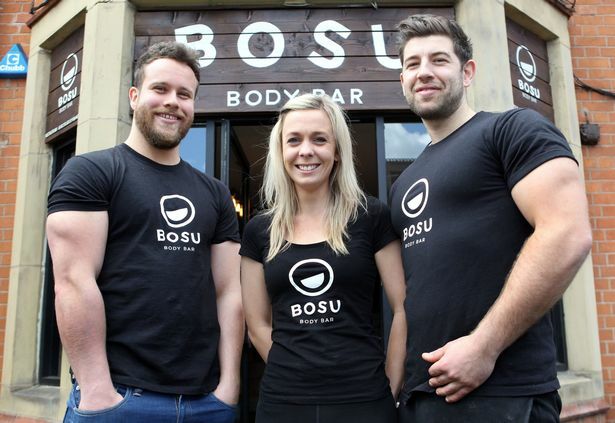 Future Plans: "We are going to open up five Bosu Body Bars in Manchester within the next 24 months. We have already signed for our next premises and we will be launching in Didsbury within three months. We have huge plans for the company, we have already had three offers to franchise out Bosu Body Bar. One of the offers was to open a Branch in Copenhagen, we will do this but in the future." What do you do: They undertake PR, social media, events and content creation for our clients, who include Universal Pictures, BBC Sport, CBBC, BBC Learning, Coolabi Group (Clangers), Film Hub North West Central, Bench Clothing, the Bruntwood Prize for Playwriting and Factory. Recently notable campaigns include hit indie film Northern Soul, the new series of Clangers, voiced by Michael Palin, Hamlet the Film (Maxine Peake), and the launch of PLY in the Northern Quarter. Future plans: The company was incorporated in November 2011, and has grown from one sole trader, to five full time staff and a roster of major global clients. Our plan is to develop the three distinct arms of the business into their own divisions: Events and Venues, TV and Film, and Branded Content Creation - whilst continuing to work as a team with a full service offer. 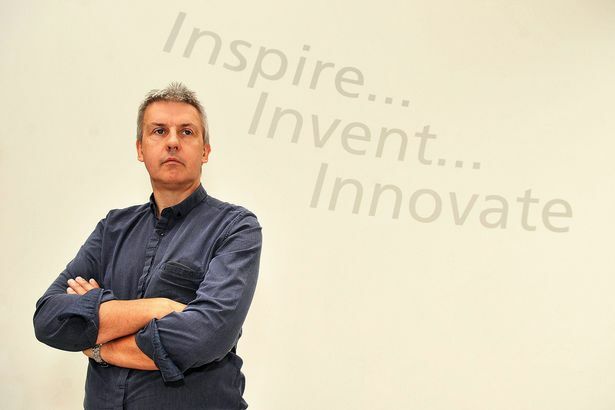 What do you do: Founded by serial biotechnology entrepreneur Dr Stephen Little it received funding from The North West Fund for Venture Capital paving the way for a reverse acquisition and £7m fund raising and listing on AIM in July 2014. Premaitha is a diagnostics company that has developed a non-invasive prenatal screening test that can detect a range of genetic abnormalities in unborn babies. The IONA® test is more accurate than current tests and avoids stress, anxiety and risk of miscarriage associated with invasive tests. The test is available in the UK and in Europe both within the NHS and private market. Future Plans: Premaitha intends to address other significant health challenges by developing further products for cancer screening and monitoring and early detection of disease. The company has recently raised more money and is in the process of capitalising on their first mover advantage from having a vitro diagnostic product on the market. What do you do: A spin-out from Salford University, CarbonAir is a materials science company that has developed patented technology from the ability of thin layers of highly porous materials to absorb sound or pressure. The technology has a wide range of applications, from noise absorbers and sound deadening materials for vehicles and buildings, to exhaust silencers, mufflers and hearing defenders, and audio design for loudspeakers and recording studios. The company has also applied its technology to air springs, gas struts, tyres and components for air suspension. Future Plans: The company expects to double its staff by the end of 2015, rising to six employees, and to develop strategic collaborative development agreements for three further technologies beyond the two that are currently being commercialised by partners. It also expects to add to the five patent applications it has on file. What do you do: Ascend are an independent estate and lettings agency with the client at the heart. “We’re quick thinkers and good listeners who have pushed the boundaries of traditional estate and lettings agents. Through embracing technology, we make life easier for vendors, buyers, landlords and tenants.” From top-notch photography and conducting Facetime viewings, to the online diagnosis of common problems to save landlords’ time and money; our customer experience is continually improving as a result of us wanting to provide a seamless, quality end-to-end service. Future Plans: Considering we’ve grown exponentially from our south Manchester office without a shop front, we’re incredibly excited to see what the future holds when we open a new branch in Manchester city centre. We also expect to launch into at least two other cities by 2017. After celebrating a profitable first 12 months of trading, we’re on track to achieve a turnover in excess of £1m for the year ahead. What do you do: Social Chain is a fully integrated influencer marketing agency that operates within the social media space and primarily targets the youth market. Services include social media management, video production and ‘on the ground’ marketing. Social Chain prides itself on its extensive network of influencers which stretches from our ownership of the UK’s largest community Twitter pages, to Instagram influencers and some of the UK’s biggest YouTube stars. Social Chain utilises its influencer network and couples it with creative and engaging in-house content to allow a brand’s message be seen by up to 175 million people at once. 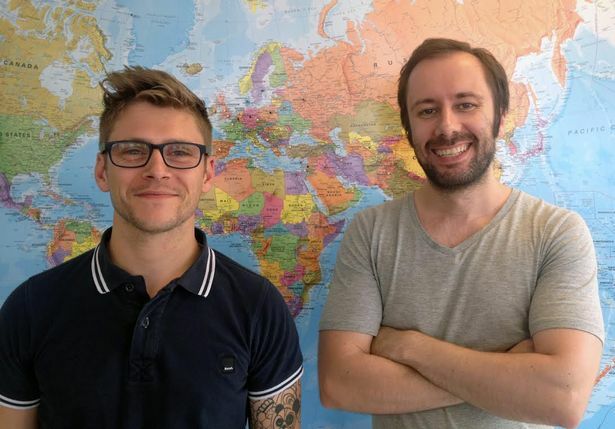 Future Plans: With just an average age of 22, and a growth from 2 to 20 employees in just 18 months, Social Chain aims to further cement itself as a cutting edge agency that is disrupting the social media space. What do you do: Texere is a scientific publishing company for innovative print, web, tablet and smart phone products for the scientific, technical and medical markets. Its first title – The Analytical Scientist – was launched in January 2013 and was followed by The Ophthalmologist, The Medicine Maker and The Pathologist. Revenue, 80% export, grew 291% between year 1 and 2 and have continued to grow a further 61% in year 3. This revenue growth is in line with the original business plan and today supports 26 staff. Future plans: The fifth brand will be launched in January 2016 with more brands to follow. Revenues are expected to grow another 100% year on year in the forthcoming period.